While not run by CCMS, we maintain strong links with the Christ’s College Chapel Choir. The Chapel Choir often join Christ’s Voices for concerts, and CCMS welcomes and encourages members of the Chapel Choir to audition for solo parts in the large scale choral works performed by CCMS. 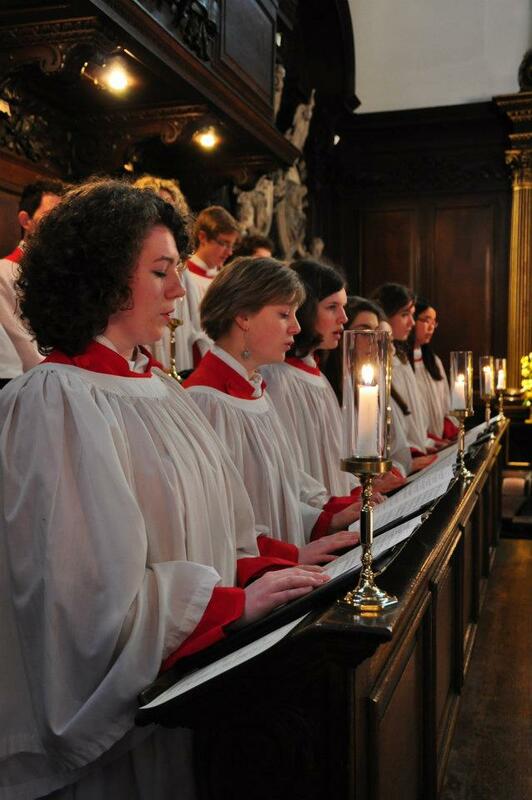 The Christ’s Chapel Choir is one of Cambridge’s finest mixed voice ensembles, and leads sung evensong services in the Chapel twice a week (on Thursdays 6.45pm and Sundays 6pm). They also perform regularly in London and elsewhere, as well as recording a CD every year and undertaking a substantial international tour during the summer vacation. Please visit their website for more detailed information. Admission to the choir is by audition, and a firm commitment is required; contact Director of Music Professor David Rowland (der26@cam.ac.uk) for more information. Everyone is welcome to attend Chapel services, regardless of religious affiliation, to enjoy the choir’s broad sacred repertoire. For more information about evensong and other weekly Chapel services, contact the Chaplain, Rev’d Mark Smith (chaplain@christs.cam.ac.uk).